While hoisting the Flag of Prasanthi on the Nilayam on the 23rd November, 1962, Baba referred to the Chinese who were pouring across the Himalayan valleys into the plains and announced, "My Birthday Festival will not be marred by any dispiriting news; you will get positive cheerful news. Sanathana Dharma will suffer no harm." And, true to this Declaration, the Chinese who were in the full flush of advance had started withdrawing, since midnight of the 22nd beyond the mountain ranges for some as yet undisclosed reasons! That evening, when the Minister for Planning in the Andhra Government opened a school donated by Him in the village of Puttaparthi, Baba spoke on the colossal waste that education involves at present. "Look at the village roads, the village home, the village children, and tell Me whether 50 or 60 years of teaching the rules of health and hygiene has had any effect. If even these lessons affecting health and well-being and life itself are thus neglected in practice, I need not say that other subjects laboriously taught in schools produce even less effect." "Suddha brahma paraath para Ram, Kaalaathmaka parameswara Ram" (Ram, the pure Essence, the Supreme Beyond Ram, the Time Principle, the Lord of Lords) have been dismissed as out of date and burdensome. Of what worth is an India that has discarded its nature and become a fake Russia or a fake America? Make the country more really Indian", He advised. "For the illness of greed, hurry, hatred and conceit that this country, along with the rest of the world is afflicted with, those who plan the education of the children must get ready to teach them the first few steps in spiritual Sadhana, silence, repetition of the Name of the Lord, meditation on the Creator of this wondrous Universe, positive acts of service to others, detachment from demeaning habits, etc." Dr. M. Chenna Reddy, the Minister, referred during his presidential address to the pilgrimage that he had made to Shirdi a few weeks ago, "I consider my coming to Puttaparthi so soon after that, as a piece of good fortune, for the Sai Baba of Shirdi has taken Avathar here as Sathya Sai Baba", he said. Baba told him as well as the gathering, "I am all Names, not only these two - Sai Baba and Sathya Sai Baba. 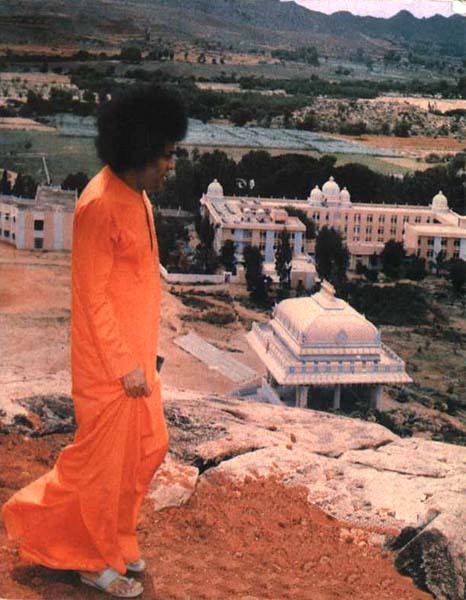 To call that manifestation Sai Baba or this as Sathya Sai Baba is only one of the many methods of designation. 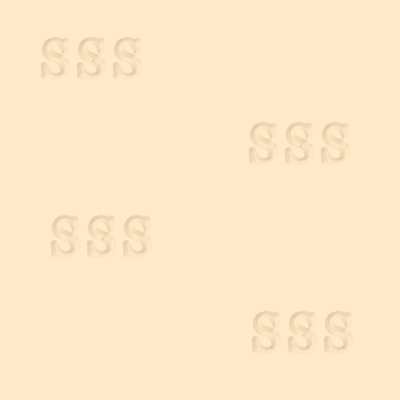 Then as well as now, Sai is all Names and all Forms." Truly, a glimpse of the Universality of the Divine, Baba invites us to seize the chance of His Grace and save ourselves with alacrity. "By seizing this chance, you can elevate yourself step by step, steadily. A stomach ache or a fever, some loss or grief brings you to Prasanthi Nilayam. You start liking this place and its atmosphere, the Omkara, the Bhajan, the calm quiet that prevails. You see Me and observe My movements, words and actions; you leave with hope and courage, confidence and strength, with a Bhajan book and picture, perhaps before long you forget the ache or fever, for it has either disappeared or lost its acerbity; you have developed a new ache - for Prasanthi, (Unshaken Peace) for Darsan Sparsan, Sambhashan, for Japam, Dhyanam, and Sakshathkaram (Realisation). Follow My instructions and become soldiers in My Army; I shall lead you on to victory." Then he made this grand declaration, this great Call: "When some one asks you in great earnestness where the Lord is to be found, do not dodge; give them the answer that rises on to your tongue from your heart. Direct him to Puttaparthi and invite him to share your joy." In December, 1962, Baba was in Madras City. He inaugurated the Sathya Sai Nivas, a Prayer Hall set in the centre of Perambur Suburb, where there is the colossal industrial complex radiating from the Integral Coach Factory and the Railway Workshops. Baba said, "This is a Light-house for this region, to save those endeavouring to cross the ocean of Samsara; it will point out to them the treacherous rocks of greed and hate, and signal the storms of wild egoism." In the very first week of 1963, on the 6th January to be exact, the Vaikunta Ekadasi had to be celebrated, according to the Calendar. Baba's Calendar marks out that Day as Amrithodbhavam Day, when Divine Nectar emanates from His Hand. The Day is observed as the day when the Gates of Heaven are opened for all in the great Vaishnavite temple Srirangam, where the Lord as Ranganatha, the Director of the World-stage, presides over the Drama of Birth and Death with a few scenes of Living, in between. For those who are near this Sri Ranganatha in Human Form, the gates of heaven open when He gives them the Nectar He creates, that day. On 6th January, Baba took many devotees to Mahabalipuram on the Eastern Sea, a place where the waves whisper to man the wonderful tales of long ago. It is a place hallowed by centuries of history. Here, chisels held by left hands inspired by Karmayoga, directed by eyes sparkling with the light of Bhakthiyoga, trained by brains illumined by Jnanayoga have shaped rebellious rock into rapture-filled paths. When the party settled around Baba on the seashore and began singing Bhajan songs, the waves must have recalled bygone days when the temple deities of Tamil Nad were installed for worship on the seashore and the shore was filled, not with picnic-minded crowds, but with masses of devout hearts and humble seekers of God. They surged, one behind the other, in serried ranks to catch a glimpse of Baba and to hear the lilt of the song divine. Even the elephants, deer and monkeys carved in stone strained to escape from the rock and sit around. Baba created that evening three charming idols of Vishnu, Narayana and Krishna, and when the group of devotees around Him were exulting over their luck, the mute image of Arjuna doing penance must have turned and folded hands in a sudden inspiration to pay homage. The three idols, Baba explained, symbolized the Sathwic aspect of God, the aspect that confers Amritha or Immortality to man. Vaikunta is the place or stage of no 'kuntitha' or dullness or stupidity, mutilation or misery. On the Ekadasi Day, dedicated to the winning of that stage, the gates of Vaikunta are open for those who have achieved success in the struggle for overcoming the handicap of ignorance. "When the mind obeys the whims of the senses, you get bound; when the mind listens to the warnings of its master, the Budhi or Reason, you are saved. So, train the mind to heed the intelligence and not the vagaries of the senses," Baba advised. After granting the devotees this Bodhamritham, Baba created the Amritham, which was generated by the Devas and Asuras on that auspicious Day by churning the Ocean of Milk, (as described in the Bhagavatham). [Srîmad Bhâgavatam, 1-3-16, 2-7-13, see also Ramakatha Rasavahini, Chapter 7b] He gave it to all present, with the warning that the tongue that has tasted Amritham must not be contaminated by Anrtham (Falsehood) thereafter. Returning to Prasanthi Nilayam, Baba called upon the devotees who had made it their home to follow the rigorous discipline that He had prescribed. "This Avathar has Bhaktha-rakshana (the fostering of Bhakthas) as one of its tasks. So, strive to be Bhakthas. Give me your mind, fully and without reservations; give it to Me with all its fickleness and waywardness. That is the only thing you need do. Then, you become Bhakthas; you will be liberated from grief. Not only you, but, every being in the Universe has to be liberated and will be," Baba said. A few days later, the Ceremony of Initiation into Brahmacharya of about 30 boys was celebrated. Finding that 16 of them had not gone through the preliminary 'ear-piercing' rite Baba waved His hand and produced as many ear-ring wires of gold as were needed; He Himself pierced the ears of the novitiates. He gave each of them the robes for the ceremony and the copper vessels they have to use. Brahmin Priests had come from many towns, accompanying the parents of the boys who were to be initiated. Baba spoke to them of the accretions that Time has piled on the simple Vedic rite; He directed them to discard these exhibitionists, the social and the convivial frills of the Vedic vesture and adhere to the simpler schedule that He had decided on. They gladly agreed; they were happy that Baba has come to separate the chaff from the grain. "I shall be their Mother", He said, when the priests suggested that the mothers must stand behind the boys during the rite. "Some among the boys have lost their mothers; when they see other boys with mothers behind them, they will shed tears at their own misfortune; I do not want any boy to shed tears during the rite when he is being given the 'grief-destroying' Gayathri manthra; so, let us not have mothers behind the boys." The mother has to pour the first handful of rice when the initiate starts his student career and says, "Bhavathi, bhikshaam dehi" (Lady, Give me alms); but, Baba said, "I shall be the Mother. I shall fill their hands with gifts". What great good fortune, this! 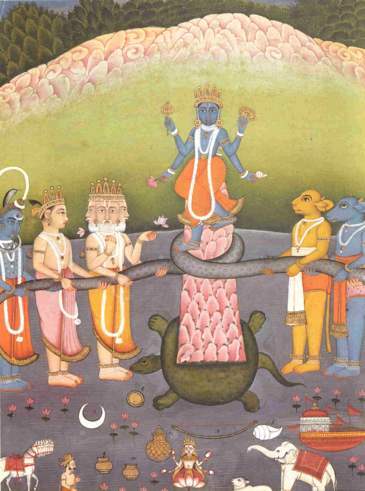 The Sivarathri Festival was celebrated in the wake of the Upanayanams. Two Lingams - one golden and the other, crystal - emerged from Baba, having formed themselves in Him, as is the wont since 1940, prior to this Sacred Day every year. Baba explained that the Linga was a 'mark' or 'symbol' representing the merging of the Particular in the Universal, the dissolution of the mind (with its agitations, aspirations and accomplishments that attach and adhere) in the Atma-awareness. The wise realize that the mind and the vast phantasmagoria that it weaves are all subsumed in the Linga, in the beginningless endless Ocean of Existence-Knowledge-Bliss. After Sivarathri, Baba left for Rajahmundry for presiding over a Three Day Adhyathmic (Spiritual) Festival of Discourses. Hundreds of villages in the region around Rajahmundry, the vast fertile Deltaic tract of the Godavari river, were looking forward to this visit, which they hoped would be extended to their area too. But, Baba announced that "visits to other places have been postponed: all can, however take Darshan at Rajahmundry during the meetings". Therefore, while Baba was motoring along the Grand Trunk Road on the East Coast of India towards the Godavari Town, thousands were speeding towards that place by car and omnibus, train and boat, on cycles and rickshaws and by bullock carts from far and near. Trains puffed into the station heavy with human throngs and left it empty, for, all were anxious to reach and none was prepared to pass beyond or leave the coveted town. Old men who had seen the mammoth gatherings that the River Festival of Pushkaram attracts into Rajahmundry swore that the record was broken into bits. Baba Himself remarked, on the 29th, when He addressed the gathering which was packed to bursting point in the largest maiden of the Town, that it was a reminder of the Viswavirat-swarupa Itself. That is to say, of the multitudinous manifestation of the Great Unknown. Baba had to change the venue to the vast open spaces of a suburb, where He could speak to them from a house-top, that commanded the entire area. The fourth day of Baba's stay at Rajahmundry was Rama Navami, the Birthday of Rama, the Avathar of God, worshipped as the embodiment of Dharma from Himalayan valleys to Kanyakumari homes. India was fragrant with incense, tinkling with temple bells, that night. Baba sat that night on a patch of sand in the center of the broad river, as Rama must have sat long long ago, while He was on His peregrinations in the South. It was an epic hour; a turning point in the history of the World. For, Baba announced in that hour His Plan for the spread and propagation of Vedic Dharma throughout India and the World. Baba teaches that Karma has to be suffused with Bhakthi so that Jnana may be won. He has pointed out that the Vedas have three Kaandas or Sections, the first one dealing with Karma, which is the most voluminous and the second, shorter in size, called Upaasana or Worship. The third or the Jnana section is the Upanishad literature, which is shorter still, the Vedantha or the Consummation of Vedic discipline. He compares these three to the 'tender fruit', the 'ripening fruit' and the 'ripe fruit'. The ripening fruit becomes filled with sweetness, in much shorter time than the tender fruitling takes to grow into the ripening fruit. The sweetness for which all this is a preparation, is Jnana. Baba agrees with the Vedic dictum that Jnana alone can confer Liberation, that Karma and Bhakthi are preliminary stages that each seeker has to go through. 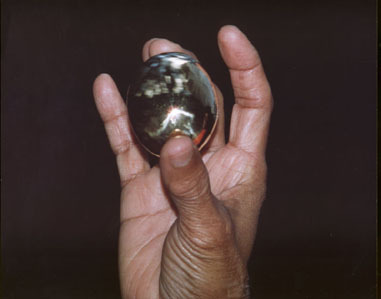 Jnana alone reveals the essential one-ness of the Universe, the one-ness of matter and matter, of time and space, of the most distant star with the smallest speck glittering in the sunlight. Baba spoke of this One-ness, this non-duality, A-dwaitha on the birthday of Sankara who was the most vigorous exponent of this Vedanthic truth. "This interpretation satisfies the most complex demands of the intellect and reconciles all the discoveries of science. A-dwaitha is the awareness of the One in full measure, in all things, at all times. When you know that the 'many' is a figment of your own imagination born out of your incomplete knowledge, you become sole Master, and all fear vanishes; you are free from the thralldom of the many-faced Samsara", Baba said. On the 10th of May, Baba inaugurated the Factory of the Rao Insulating Company at Whitefield. He addressed the employees and gave them His Blessings and advice. He told them that each one of them was a link in the chain of production; sloth, slackness, negligence or inefficiency of a single person will nullify the skill, vigilance, efficiency and enthusiasm of the rest. Be tolerant of the other man's point of view, be aware of the other man's difficulties; respect the other man's needs as much as you respect your own. He said He knew the British Technicians who were collaborating with them and so He could congratulate them on securing such earnest and loving friends from abroad. Baba lays His finger on the crux of what is often exaggerated as the labour problem, for, He sees it as a human problem of acquiring peace and joy. At Srisailam, when He saw the thousands of masons, stone cutters and mechanics engaged in building a Dam across the Krishna River, He gave them advice, which leaders and guides of labour can well take to heart. "Do not go about this work in a haphazard way; this is a sacred task which will provide food and happiness for crores of men, women and children for centuries. Truly, your lives have been worthwhile. You, who toil to curb the waywardness of this mighty river must toil to curb your own waywardness too. Dam the roaring flood of passion, which endangers the peace and joy of your own homes. Canalize it into useful fields. Just as you obey the rules of health for fear of falling ill, obey the rules of mental control too so that you may have abundant peace. Spend a few minutes every morning and evening in the silence of your home before the altar, spend them with God. Practice the constant presence of God, see Him with you always under all conditions. Rely on Him; it is His Drama, you are but a role, an actor." From Whitefield, Baba went to Mysore City and the Nilgiris and from thence He proceeded to Tinnevelly, Mukkudal, Maduraj and the Kodaikanal Hills, reaching Prasanthi Nilayam in time for the Festival of Guru Pournima. The miraculous events that preceded that Festival and that made it unforgettable deserve a separate chapter, a chapter which has to be inscribed in letters of gold.